Love In the Name of Christ exists to help the 40+ partner churches in the Gallatin County mobilize their members to be the hands and feet of Christ here in our community. Why? Because one church alone can’t deal with all the complex issues of poverty. It takes churches working together, across denominational lines, to meet these multi-faceted needs. By working together, Love INC and Trinity Church can more effectively offer hope to those in need by offering life skills classes, material goods, relational development, and the Love of Christ. We also partner with Love INC to provide diapers to people in need in our community. Please make it your habit to buy a box of diapers once a month when you are shopping (sizes 5-6 and pull-ups are always in demand). There is a drop-box by our information table for all donations. This ministry is a crisis pregnancy center staffed with professional nurses and counselors. It seeks to give guidance and support to women who are faced with the choice of having an abortion, who are struggling with parenting, or considering adoption. If you are interested in volunteering or supporting this ministry, please contact Jane Phillips at jane59718@gmail.com. In the Old Testament God extended His heart and made provision for orphaned and abandoned children through His people. According to His statutes, the Israelites gave out of their resources a special offering for orphans, widows and others in need--those who had no portion or inheritance. Founded on this principle, The Sacred Portion Children's Outreach is a non-profit organization dedicated to providing for the needy children of the world who are without homes and families. 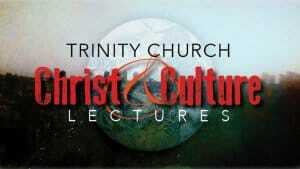 Trinity Church hosts these lectures annually. There is no charge to attend although donations are accepted. No childcare is offered for these evening lectures. Location Information.